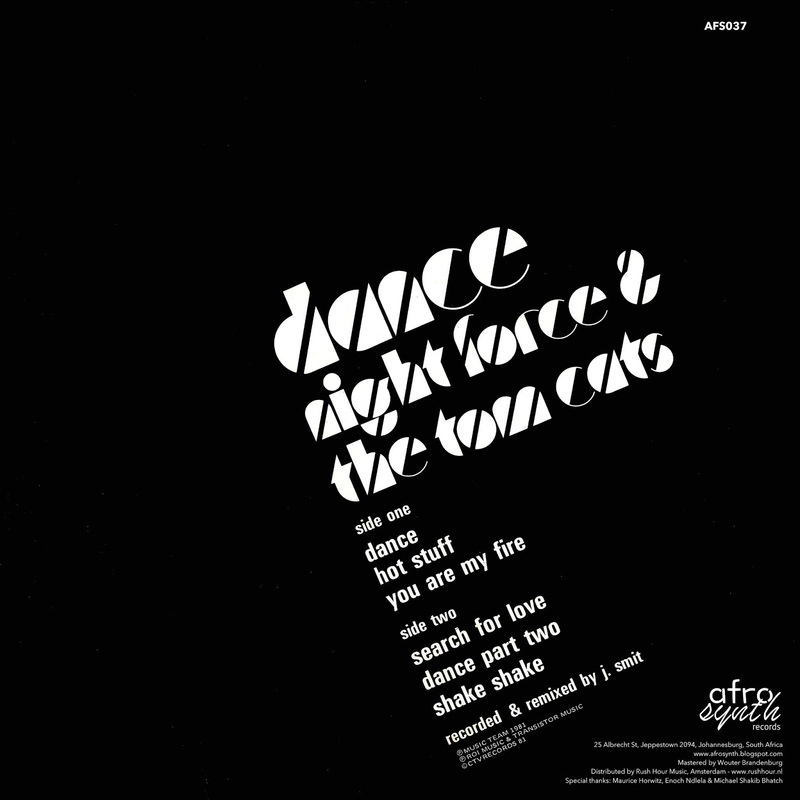 Rare South African disco from 1981, re-issued for the first time on Afrosynth Records. 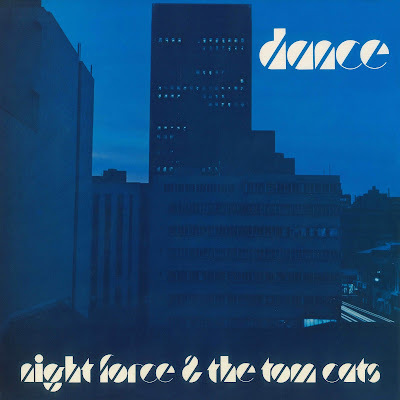 The title track ‘Dance’ was originally released in 1980, a hit throughout Europe written by Belgian composers Frank Degrijse and Alain Denisse, released as Night Force and produced by ill-fated Dutchman Bart van der Laar. In Johannesburg, where a promo was sent to the offices of the local independent label Music Team, it was decided that the song would be released to the South African market at a slower tempo, the original 45rpm slowed down to 33rpm. Originally released in South African in 1981, the slowed-down version of Dance was the brainchild of Enoch Ndlela during his days at Music Team, run by Maurice Horwitz. 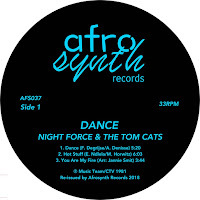 Ndlela recalls: “Before I left [Music Team], I found ‘Dance’, a maxi single from Italy – Night Force and Tom Cats. It was a maxi single and the tempo was high. Because the tempo is Italy, it’s white people. I told Maurice, ‘This is a hit, but you have to slow it down’. He refused, but I had to persuade him into slowing it down. 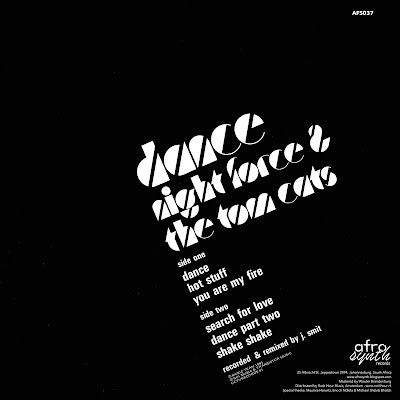 The move dropped the beats per minute from a frantic 135 down to 113, transforming the original into a slow-burner for the earliest days of the South African disco market, which would soon explode into what became known as bubblegum. The trend in South Africa of pitching down imported dance records continued and in the following decade gave rise to the first kwaito releases. Added to the Night Force tracks are four songs by The Tom Cats, Music Team’s in-house production team. Most recognisable are dub reworkings of recent Afrosynth releases ‘Burnin Beat (It’sHot)’ and ‘Searchin’ - originally released two years earlier, in 1979 - here re-titled ‘Hot Stuff’ and ‘Search For Love’ respectively. Synth-heavy oddities ‘You Are My Fire’ and ‘Shake Shake’ make up the rest of the tracklist, credited to Jannie Smit, who a few years later would work on V.O.’s Mashisa, another recent South African re-issue. 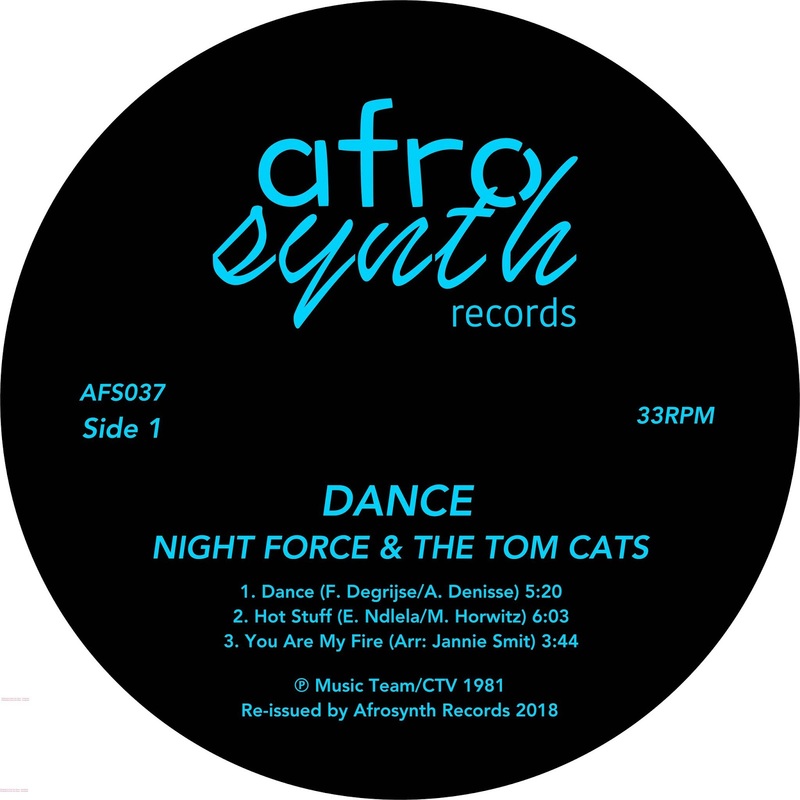 Night Force & The Tom Cats Dance (AFS037) will be available in late 2018. Order from Rush Hour here. AfroSynth. Picture Window theme. Theme images by ULTRA_GENERIC. Powered by Blogger.